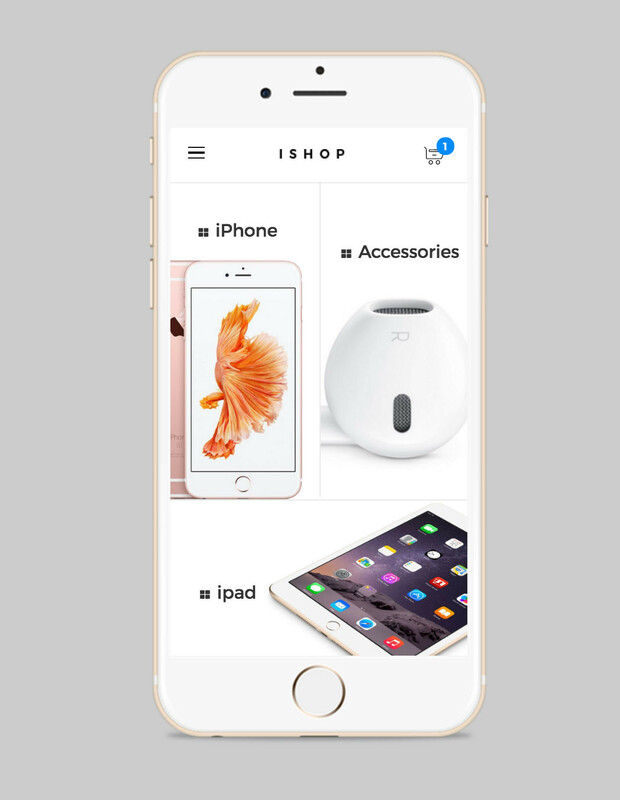 The iSHOP Prestashop theme perfectly fits for stores selling modern devices and other digital staff. 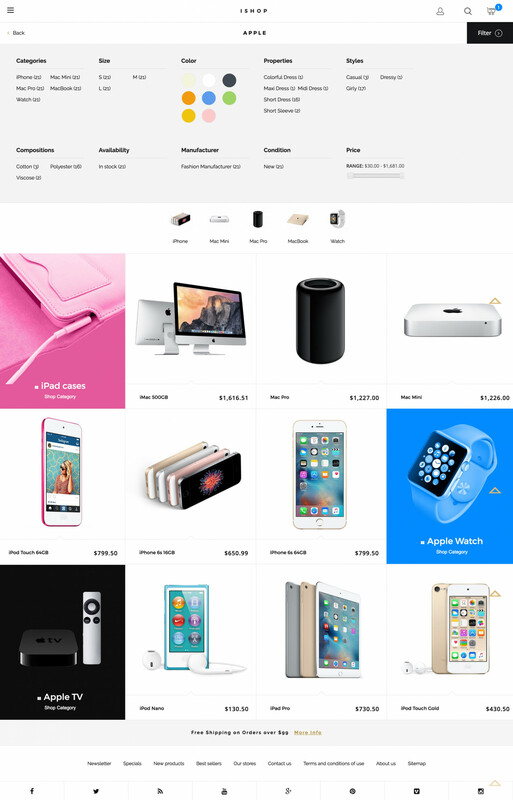 Theme is responsive and supports all devices: desktops, mobile phones and tables. 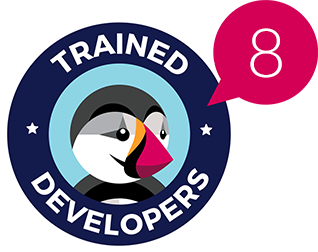 + Extended User Guide by the link below. 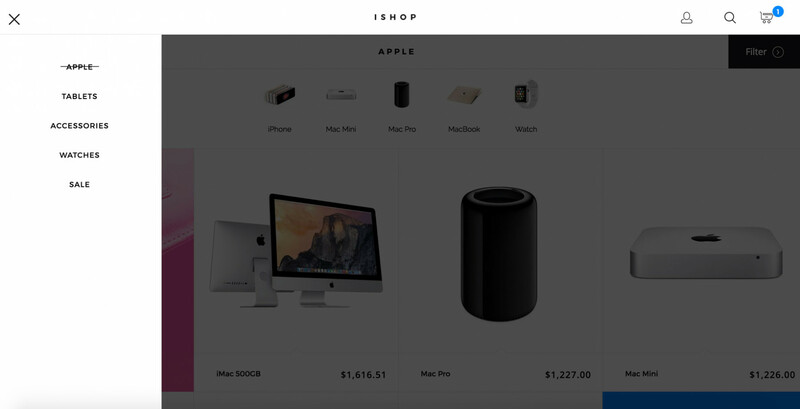 iSHOP responsive theme for Prestashop 1.6 follows the basic concept of all products designed by Apple - minimalism and perfectionism. 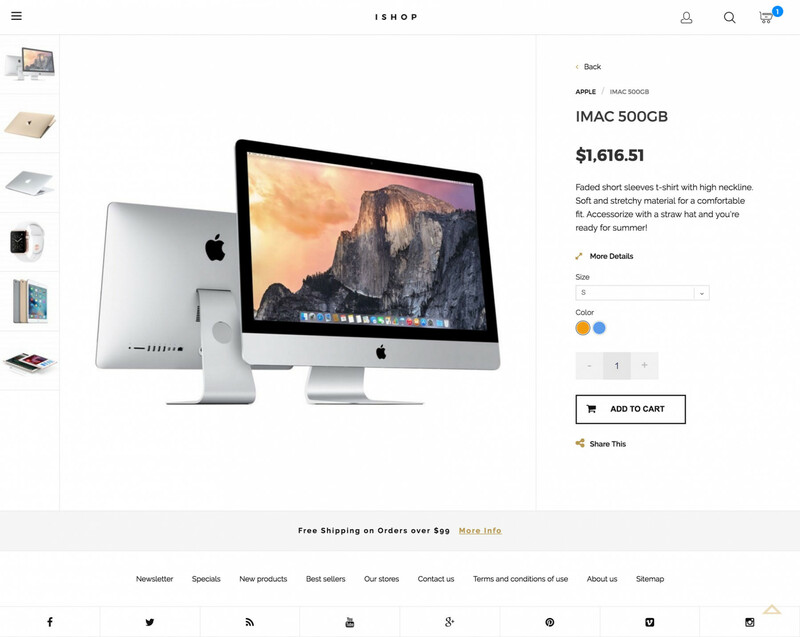 Simple, clean and fresh look of the theme matches the style and look of Apple products and provides a wonderful browsing experience on all devices: desktops, mobile phones and tables. 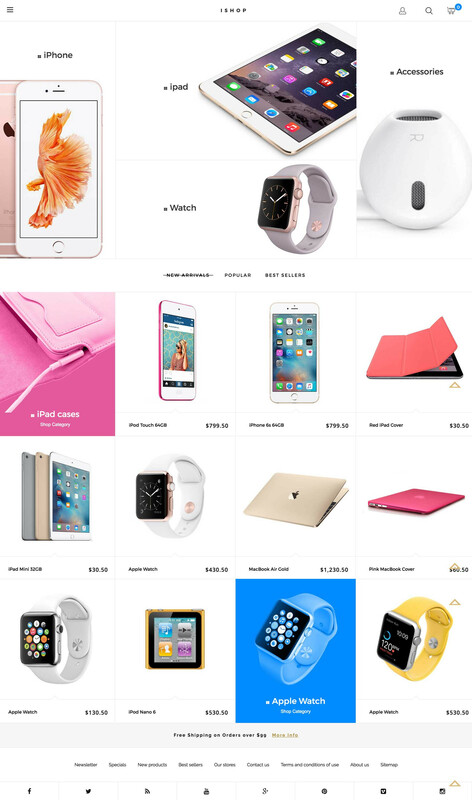 The front page of the theme features a neatly arranged list of goods. 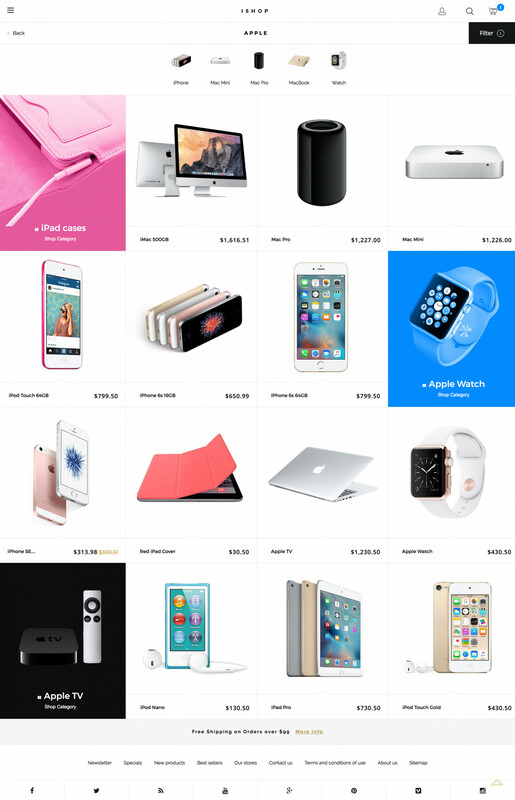 Each product category starts with an attractive banner that is designed as a part of the product grid. 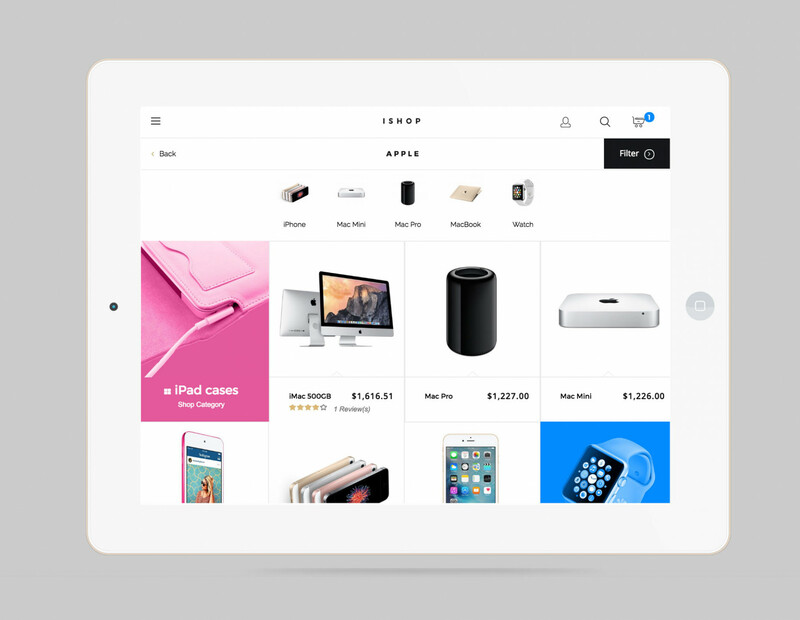 Subcategories and product pages are easy to navigate - the navigation menu is hidden to save space, but is easy to access with just one click. 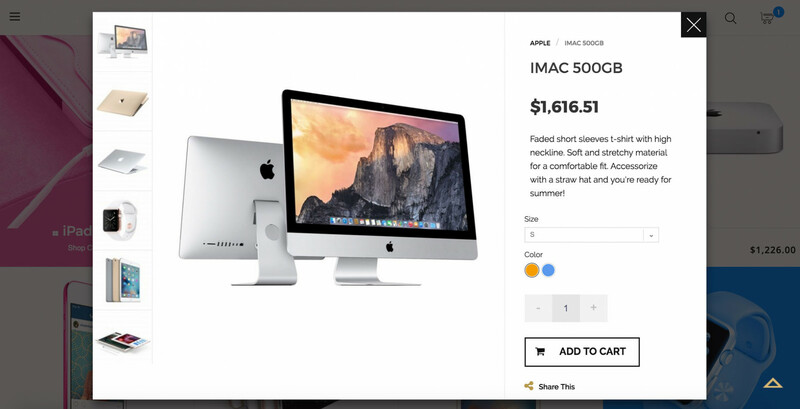 Basic product information can be viewed in a quick pop-up right on the category page without page reload. The theme also gives an easy way to connect social media buttons.